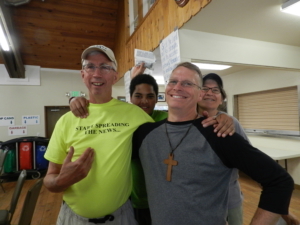 Cascade Camp Cedarbrook staff come from many walks of life and many Christian denominations. We unite under a common statement of faith to help campers grow in faith, develop their personal skills and confidence, form healthy relationships and experience the outdoors. Cedarbrook staff are interviewed and have references and their background checked. Attending Cedarbrook training in the spring is expected of each staff member. are positive role models who live, eat and play with campers. teach an action-oriented Bible curriculum to their cabin group. share a hobby or interest with kids as an activity leader for one hour a day. are essential to the emotional, social and spiritual growth of campers. teach skill-building activities such as swimming, canoeing, archery, and horsemanship. build a camper’s confidence and give them the opportunity to grow as they risk learning something new. make camp a safe place to have fun. help campers see themselves as part of God’s wonderful creation. keep the camp environment safe and healthy by performing maintenance and repairs. The “Come Along Side” team member (a.k.a. CAST member) is a staff member who will be focused on providing extra support necessary for campers and staff to make the week successful. Whether it be providing additional attention for Morning Watch or Bible Exploration activities to participating in camp activities. The CAST member will provide additional emotional and developmental support to campers and staff throughout the day and the camp week. 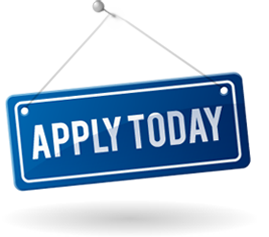 Apply for a Cascade Camp Cedarbrook staff position by registering online and choosing a staff account. Please check each week, or session, in addition to position that you desire. Any questions, please contact Jayne Blackburn, Registrar.